“United States Coast Survey” and “United States Coast and Geodetic Survey” redirect here. They are former scientific agencies of the United States government which should not be confused with the United States Coast Guard, a seagoing U.S. government law enforcement and safety agency, the modern Coast Survey, a U.S. government agency that makes nautical charts, or the United States Geological Survey, a U.S. government agency that studies earth science and makes topographical maps. The National Geodetic Survey's history and heritage are intertwined with those of other NOAA offices. As the U.S. Coast Survey and U.S. Coast and Geodetic Survey, the agency operated a fleet of survey ships, and from 1917 the Coast and Geodetic Survey was one of the uniformed services of the United States with its own corps of commissioned officers. Upon the creation of the Environmental Science Services Administration (ESSA) in 1965, the commissioned corps was separated from the Survey to become the Environmental Science Services Administration Corps (or “ESSA Corps”). Upon the creation of NOAA in 1970, the ESSA Corps became the National Oceanic and Atmospheric Administration Commissioned Officer Corps (or “NOAA Corps”); the operation of ships was transferred to the new NOAA fleet; geodetic responsibilities were placed under the new National Geodetic Survey; and hydrographic survey duties came under the cognizance of NOAA’s new Office of Coast Survey. Thus, the National Geodetic Survey’s ancestor organizations are also the ancestors of today’s NOAA Corps and Office of Coast Survey and are among the ancestors of today’s NOAA fleet. In addition, today’s National Institute of Standards and Technology, although long since separated from the Survey, got its start as the Survey’s Office of Weights and Measures. The National Geodetic Survey is an office of NOAA’s National Ocean Service. Its core function is to maintain the National Spatial Reference System (NSRS), “a consistent coordinate system that defines latitude, longitude, height, scale, gravity, and orientation throughout the United States.” NGS is responsible for defining the NSRS and its relationship with the International Terrestrial Reference Frame (ITRF). The NSRS enables precise and accessible knowledge of where things are in the United States and its territories. The NSRS may be divided into its geometric and physical components. The official geodetic datum of the United States, NAD83 defines the geometric relationship between points within the United States in three-dimensional space. The datum may be accessed via NGS’s network of survey marks or through the Continuously Operating Reference Station (CORS) network of GPS reference antennas. NGS is responsible for computing the relationship between NAD83 and the ITRF. The physical components of the NSRS are reflected in its height system, defined by the vertical datum NAVD88. This datum is a network of orthometric heights obtained through spirit leveling. Because of the close relationship between height and Earth’s gravity field, NGS also collects and curates terrestrial gravity measurements and develops regional models of the geoid (the level surface that best approximates sea level) and its slope, the deflection of the vertical. NGS is responsible for ensuring the accuracy of the NSRS over time, even as the North American plate rotates and deforms over time due to crustal strain, post-glacial rebound, subsidence, elastic deformation of the crust, and other geophysical phenomena. NGS will release new datums in 2022. The North American Terrestrial Reference Frame of 2022 (NATRF2022) will supersede NAD83 in defining the geometric relationship between the North American plate and the ITRF. United States territories on the Pacific, Caribbean, and Mariana plates will have their own respective geodetic datums. The North American-Pacific Geopotential Datum of 2022 (NAPGD2022) will separately define the height system of the United States and its territories, replacing NAVD88. It will use a geoid model accurate to 1 centimeter (0.4″) to relate orthometric height to ellipsoidal height measured by GPS, eliminating the need for future leveling projects. This geoid model will be based on airborne and terrestrial gravity measurements collected by NGS’s GRAV-D program as well as satellite-based gravity models derived from observations collected by GRACE, GOCE, and satellite altimetry missions. NGS provides a number of other public services. It maps changing shorelines in the United States and provides aerial imagery of regions affected by natural disasters, enabling rapid damage assessment by emergency managers and members of the public. The Online Positioning and User Service (OPUS) processes user-input GPS data and outputs position solutions within the NSRS. The agency offers other tools for conversion between datums. The original predecessor agency of the National Geodetic Survey was the United States Survey of the Coast, created within the United States Department of the Treasury by an Act of Congress on February 10, 1807, to conduct a “Survey of the Coast.” The Survey of the Coast, the United States government's first scientific agency, represented the interest of the administration of President Thomas Jefferson in science and the stimulation of international trade by using scientific surveying methods to chart the waters of the United States and make them safe for navigation. A Swiss immigrant with expertise in both surveying and the standardization of weights and measures, Ferdinand R. Hassler, was selected to lead the Survey. Hassler submitted a plan for the survey work involving the use of triangulation to ensure scientific accuracy of surveys, but international relations prevented the new Survey of the Coast from beginning its work; the Embargo Act of 1807 brought American overseas trade virtually to a halt only a month after Hassler's appointment and remained in effect until Jefferson left office in March 1809. It was not until 1811 that Jefferson's successor, President James Madison, sent Hassler to Europe to purchase the instruments necessary to conduct the planned survey, as well as standardized weights and measures. Hassler departed on August 29, 1811, but eight months later, while he was in England, the War of 1812 broke out, forcing him to remain in Europe until its conclusion in 1815. Hassler did not return to the United States until August 16, 1815. The Survey finally began surveying operations in 1816, when Hassler started work in the vicinity of New York City. The first baseline was measured and verified in 1817. However, Hassler was taken by surprise when the United States Congress – frustrated by the slow and limited progress the Survey had made in its first decade, unwilling to endure the time and expense involved in scientifically precise surveying, unconvinced of the propriety of expending U.S. Government funds on scientific endeavors, and uncomfortable with Hassler leading the effort because of his foreign birth – enacted legislation in 1818 removing him from the leadership of the Survey and suspending its operations. Congress believed that United States Army and United States Navy officers could achieve surveying results adequate for safe navigation during their routine navigation and charting activities and could do so more quickly and cheaply than Hassler, and it gave the U.S. Army and U.S. Navy responsibility for coastal surveys. Under this law, which prohibited the U.S. Government from hiring civilians to conduct coastal surveys, the Survey of the Coast existed without a superintendent and without conducting any surveys during the 14 years from 1818 to 1832. On July 10, 1832, Congress passed a new law renewing the original law of 1807, placing the responsibility for coastal surveying back in the Survey of the Coast and permitting the hiring of civilians to carry it out. Hassler was reappointed as the Survey's superintendent that year. The Survey of the Coast resumed field work in April 1833. In July 1833, Edmund E. Blunt, the son of hydrographer Edmund B. Blunt, accepted a position with the Survey. The elder Blunt had begun publication of the American Coast Pilot – the first book of sailing directions, charts, and other information for mariners in North American waters to be published in North America – in 1796. Although the Survey relied on articles it published in local newspapers to provide information to mariners in the next decades, Blunt's employment with the Survey began a relationship between the American Coast Pilot and the Survey in which the Survey's findings were incorporated into the American Coast Pilot and the Survey's charts were sold by the Blunt family, which became staunch allies of the Survey in its disputes with its critics. Eventually, the relationship between the Survey and the Blunts would lead to the establishment of the Survey's United States Coast Pilot publications in the latter part of the 19th century. The United States Department of the Navy was given the control of the Survey of the Coast from 1834 to 1836, but on March 26, 1836, the Department of the Treasury resumed the administration of the Survey, which was renamed the United States Coast Survey in 1836. The Navy retained close connection with the hydrographic efforts of the Coast Survey under law requiring Survey ships to be commanded and crewed by U.S. Navy officers and men when the Navy could provide such support. Under this system, which persisted until the Survey was granted the authority to crew its ships in 1900, many of the most famous names in hydrography for both the Survey and Navy of the period are linked, as U.S. Navy officers and Coast Survey civilians served alongside one another aboard ship. In addition, the United States Department of War provided U.S. Army officers for service with the Survey during its early years. Hassler believed that expertise in coastal surveys would be of importance in future wars and welcomed the participation of Army and Navy personnel, and his vision in this regard laid the foundation for the commissioned corps of officers that would be created in the Survey in 1917 as the ancestor of today's National Oceanic and Atmospheric Administration Commissioned Corps. During the nineteenth century, the remit of the Survey was rather loosely drawn and it had no competitors in federally funded scientific research. Various superintendents developed its work in fields as diverse as astronomy, cartography, meteorology, geodesy, geology, geophysics, hydrography, navigation, oceanography, exploration, pilotage, tides, and topography. The Survey published important articles by Charles Sanders Peirce on the design of experiments and on a criterion for the statistical treatment of outliers. Ferdinand Hassler became the first Superintendent of Weights and Measures beginning in November 1830, and the Office of Weights and Measures, the ancestor of today's National Institute of Standards and Technology, was placed under the control of the Coast Survey in 1836; until 1901, the Survey thus was responsible for the standardization of weights and measures throughout the United States. When it resumed operations in 1833, the Survey returned to surveys of the New York City area and its maritime approaches. Although U.S. law prohibited the Survey from procuring its own ships, requiring it to use existing public ships such as those of the Navy and the United States Revenue Cutter Service for surveying operations afloat, the U.S. Department of the Navy worked around the law by allowing Lieutenant Thomas R. Gedney to purchase the schooner Jersey for the Navy, then deeming Jersey suited only for use by the Survey. Under Gedney's command, Jersey began the Survey's first depth sounding operations in October 1834, and made its first commercially and militarily significant discovery in 1835 by discovering what became known as the Gedney Channel at the entrance to New York Harbor, which significantly reduced sailing times to and from New York City. In 1838, U.S. Navy Lieutenant George M. Bache, while attached to the Survey, suggested standardizing the markings of buoys and navigational markers ashore by painting those on the right when entering a harbor red and those on the left black; instituted by Lieutenant Commander John R. Goldsborough in 1847, the “red right return” system of markings has been in use in the United States ever since. In August 1839, the Coast Survey made another kind of history when the Revenue Service cutter USRC Washington, conducting sounding surveys for the Coast Survey off Long Island under Gedney's command, intercepted the slave ship La Amistad and brought her into port. In the early 1840s, the Survey began work in Delaware Bay to chart the approaches to Philadelphia, Pennsylvania. Professor Alexander Dallas Bache became superintendent of the U.S. Coast Survey after Hassler's death in 1843. During his years as superintendent, he reorganized the Coast Survey and expanded its work southward along the United States East Coast into the Florida Keys. In 1846 the Survey began to operate a ship, Phoenix, on the United States Gulf Coast for the first time. By 1847, Bache had expanded the Survey's operations from nine states to seventeen, and by 1849 it also operated along the United States West Coast, giving it a presence along all coasts of the United States. In 1845, he instituted the world's first systematic oceanographic project for studying a specific phenomenon when he directed the Coast Survey to begin systematic studies of the Gulf Stream and its environs, including physical oceanography, geological oceanography, biological oceanography, and chemical oceanography. Bache's initial orders for the Gulf Stream study served as a model for all subsequent integrated oceanographic cruises. Bache also instituted regular and systematic observations of the tides and investigated magnetic forces and directions, making the Survey the center of U.S. Government expertise in geophysics for the following century. In the late 1840s, the Survey pioneered the use of the telegraph to provide highly accurate determinations of longitude; known as the “American method,” it soon was emulated worldwide. The Mexican War of 1846–1848 saw the withdrawal of virtually all U.S. Army officers from the Coast Survey and the Coast Survey brig Washington was taken over for U.S. Navy service in the war, but overall the war effort had little impact on the Coast Survey's operations. Army officers returned after the war, and the expansion of U.S. territory as a result of the war led to the Coast Survey expanding its operations to include the newly acquired coasts of Texas and California. The famous naturalist Louis Agassiz studied marine life off New England from the Coast Survey steamer Bibb in 1847 and also conducted the first scientific study of the Florida reef system in 1851 under a Coast Survey commission; his son, Alexander Agassiz, later also served aboard Coast Survey ships for technical operations. In the 1850s, the Coast Survey also conducted surveys and measurements in support of efforts to reform the Department of the Treasury's Lighthouse Establishment, and it briefly employed the artist James McNeill Whistler as a draughtsman in 1854–1855. Ever since it began operations, the Coast Survey had faced hostility from politicians who believed that it should complete its work and be abolished as a means of reducing U.S. Government expenditures, and Hassler and Bache had fought back periodic attempts to cut its funding. By 1850, the Coast Survey had surveyed enough of the U.S. coastline for a long enough time to learn that – with a few exceptions, such as the rocky coast of New England – coastlines were dynamic and required return visits by Coast Surveyors to keep charts up to date. In 1858, Bache for the first time publicly stated that the Coast Survey was not a temporary organization charged with charting the coasts once, but rather a permanent one that would continually survey coastal areas as they changed over time. Another significant moment in the Survey's history that occurred in 1858 was the first publication of what would later become the United States Coast Pilot, when Survey employee George Davidson adapted an article from a San Francisco, California, newspaper into an addendum to that year's Annual Report of the Superintendent of the Coast Survey. Although the Survey had previously published its work indirectly via the Blunts' American Coast Pilot, it was the first time that the Survey had published its sailing directions directly in any way other than through local newspapers. On June 21, 1860, the greatest loss of life in a single incident in the history of NOAA and its ancestor agencies occurred when a commercial schooner collided with the Coast Survey paddle steamer Robert J. Walker in the Atlantic Ocean off New Jersey. Robert J. Walker sank with the loss of 20 men. A Coast Survey ship took part in an international scientific project for the first time when Bibb observed a solar eclipse from a vantage point off Aulezavik, Labrador, on July 18, 1860, as part of an international effort to study the eclipse. Bibb became the first Coast Survey vessel to operate in subarctic waters. A survey of the Mississippi River in Louisiana below Fort Jackson and Fort St. Philip made by the U.S. Coast Survey to prepare for the bombardment of the forts by David Dixon Porter‘s mortar fleet in April 1862 during the American Civil War. The outbreak of the American Civil War in April 1861 caused a dramatic shift in direction for the Coast Survey. All U.S. Army officers were withdrawn from the Survey, as were all but two U.S. Navy officers. Since most men of the Survey had Union sympathies, all but seven of them stayed on with the Survey rather than resigning to serve the Confederate States of America, and their work shifted in emphasis to support of the U.S. Navy and Union Army. Civilian Coast Surveyors were called upon to serve in the field and provide mapping, hydrographic, and engineering expertise for Union forces. One of the individuals who excelled at this work was Joseph Smith Harris, who supported Rear Admiral David G. Farragut and his Western Gulf Blockading Squadron in the Battle of Forts Jackson and St. Philip in 1862; this survey work was particularly valuable to Commander David Dixon Porter and his mortar bombardment fleet. Coast Surveyors served in virtually all theaters of the war and were often in the front lines or in advance of the front lines carrying out mapping duties, and Coast Survey officers produced many of the coastal charts and interior maps used by Union forces throughout the war. Coast Surveyors supporting the Union Army were given assimilated military rank while attached to a specific command, but those supporting the U.S. Navy operated as civilians and ran the risk of being executed as spies if captured by the Confederates while working in support of Union forces. United States Coast and Geodetic Survey headquarters on New Jersey Avenue in Washington, D.C., from Harper’s Weekly, October 1888. Army officers never returned to the Coast Survey, but after the war Navy officers did, and the Coast Survey resumed its peacetime duties. The acquisition of the Territory of Alaska in 1867 expanded its responsibilities, as did the progressive exploration, settlement, and enclosure of the continental United States. George W. Blunt sold the copyright for the American Coast Pilot – the Blunt family publication which had appeared in 21 editions since 1796 and had come to consist almost entirely of public information produced by the Survey anyway – in 1867, and the Survey thus took responsibility for publishing it regularly for the first time, spawning a family of such publications for the various coasts of the United States and the Territory of Alaska in the coming years. In 1888, the publications for the United States East and Gulf coasts took the name United States Coast Pilot for the first time, and the publications for the United States West Coast took this name 30 years later. NOAA produces the United States Coast Pilots to this day. In 1871, Congress officially expanded the Coast Survey's responsibilities to include geodetic surveys in the interior of the country, and one of its first major projects in the interior was to survey the 39th Parallel across the entire country. Between 1874 and 1877, the Coast Survey employed the naturalist and author John Muir as a guide and artist during the survey of the 39th Parallel in the Great Basin of Nevada and Utah. 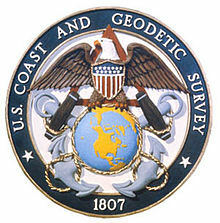 To reflect its acquisition of the mission of surveying the U.S. interior and the growing role of geodesy in its operations, the U.S. Coast Survey was renamed the United States Coast and Geodetic Survey (USC&GS) in 1878. By the mid-1880s, the Coast and Geodetic Survey had been caught up in the increased scrutiny of U.S. Government agencies by politicians seeking to reform governmental affairs by curbing the spoils system and patronage common among office holders of the time. One outgrowth of this movement was the Allison Commission – a joint commission of the United States Senate and United States House of Representatives – which convened in 1884 to investigate the scientific agencies of the U.S. Government, namely the Coast and Geodetic Survey, the United States Geological Survey, the United States Army Signal Corps (responsible for studying and predicting weather at the time), and the United States Navy‘s United States Hydrographic Office. The commission looked into three main issues: the role of geodesy in the U.S. Government’s scientific efforts and whether responsibility for inland geodetics should reside in the U.S. Coast and Geodetic Survey or the U.S. Geological Survey; whether the Coast and Geodetic Survey should be removed from the Department of the Treasury and placed under the control of the Department of the Navy, as it had been previously from 1834 to 1836; and whether weather services should reside in a military organization or in the civilian part of the government, raising the broader issue of whether U.S. government scientific agencies of all kinds should be under military or civilian control. At the Coast and Geodetic Survey, at least some scientists were not prone to following bureaucratic requirements related to the funding of their projects, and their lax financial practices led to charges of mismanagement of funds and corruption. When Grover Cleveland became president in 1885, James Q. Chenoweth became First Auditor of the Department of the Treasury, and he began to investigate improprieties at the U.S. Coast and Geodetic Survey, U.S. Geological Survey, and United States Commission of Fish and Fisheries, more commonly referred to as the U.S. Fish Commission. He had little impact on the Geological Survey or the Fish Commission, but at the Coast and Geodetic Survey he found many improprieties. Chenoweth found that the Coast and Geodetic Survey had failed to account for government equipment it had purchased, continued to pay retired personnel as a way of giving them a pension even though the law did not provide for a pension system, paid employees whether they worked or not, and misused per diem money intended for the expenses of personnel in the field by paying per diem funds to employees who were not in the field as a way of augmenting their very low authorized wages and providing them with fair compensation. Chenoweth saw these practices as embezzlement. Chenoweth also suspected embezzlement in the Survey’s practice of providing its employees with money in advance for large and expensive purchases when operating in remote areas because of the Survey’s inability to verify that the expenses were legitimate. Moreover, the Superintendent of the Coast and Geodetic Survey, Julius Hilgard, was exposed as a drunkard and forced to resign in disgrace along with four of his senior staff members at Survey headquarters. To address issues at the Coast and Geodetic Survey raised by the Allison Commission and the Chenoweth investigation, Cleveland made the Chief Clerk of the Internal Revenue Bureau, Frank Manly Thorn, Acting Superintendent of the Coast and Geodetic Survey on July 23, 1885, and appointed him as the permanent superintendent on September 1. Thorn, a lawyer and journalist who was the first non-scientist to serve as superintendent, quickly concluded that the charges against Coast and Geodetic Survey personnel largely were overblown, and he set his mind to the issues of rebuilding the Survey’s integrity and reputation and ensuring that it demonstrated its value to its critics. Ignorant of the Survey’s operations and the scientific methods that lay behind them, he left such matters to his assistant, Benjamin J. Colonna, and focused instead on reforming the Survey’s financial and budgetary procedures and improving its operations so as to demonstrate the value of its scientific program in performing accurate mapping while setting and meeting production deadlines for maps and charts. 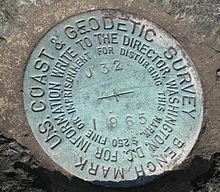 To the Survey’s critics, Thorn and Colonna championed the importance of the Coast and Geodetic Survey’s inland geodetic work and how it supported, rather than duplicated, the work of the Geological Survey and was in any event an important component of the Coast and Geodetic Survey’s hydrographic work along the coasts. Thorn also advocated civilian control of the Coast and Geodetic Survey, pointing out to Cleveland and others that earlier experiments with placing it under U.S. Navy control had fared poorly. Thorn described the Coast and Geodetic Survey’s essential mission as, in its simplest form, to produce “a perfect map,”. and to this end he and Colonna championed the need for the Survey to focus on the broad range of geodetic disciplines Colonna identified as necessary for accurate chart- and mapmaking: triangulation, astronomical observations, levelling, tidal observations, physical geodesy, topography, hydrography, and magnetic observations. To those who advocated transfer of the Coast and Geodetic Survey’s work to the Navy Hydrographic Office, Thorn and Colonna replied that although the Navy could perform hydrography, it could not provide the full range of geodetic disciplines necessary for scientifically accurate surveying and mapping work. In 1886, the Allison Commission wrapped up its investigation and published its final report. Although it determined that all topographic responsibility outside of coastal areas would henceforth reside in the U.S. Geological Survey, it approved of the Coast and Geodetic Survey continuing its entire program of scientific research, and recommended that the Coast and Geodetic Survey remain under civilian control rather than be subordinated to the U.S. Navy. It was a victory for Thorn and Colonna. Another victory followed in 1887, when Thorn headed off a congressional attempt to subordinate the Survey to the Navy despite the Allison Commission’s findings, providing Cleveland with information on the previous lack of success of such an arrangement. When Thorn left the superintendency in 1889, the Coast and Geodetic Survey’s position in the U.S. Government had become secure. Before Thorn left the superintendency, the United States Congress passed a bill requiring that henceforth the president would select the superintendent of the Coast and Geodetic Survey with the consent of the U.S. Senate. This practice has continued for senior positions in the Coast and Geodetic Survey and its successor organizations ever since. In the 1890s, while attached to the Coast and Geodetic Survey as commanding officer of George S. Blake, Lieutenant Commander Charles Dwight Sigsbee, USN, Assistant in the Coast Survey,[Note 1] developed the Sigsbee sounding machine while conducting the first true bathymetric surveys in the Gulf of Mexico. With the outbreak of the Spanish–American War in April 1898, the U.S. Navy again withdrew its officers from Coast and Geodetic Survey duty. As a result of the war, which ended in August 1898, the United States took control of the Philippine Islands and Puerto Rico, and surveying their waters became part of the Coast and Geodetic Survey’s duties. The Survey opened a field office in Seattle, Washington in 1899, to support survey ships operating in the Pacific Ocean as well as survey field expeditions in the western United States; this office eventually would become the modern National Oceanic and Atmospheric Administration Pacific Marine Center. The system of U.S. Navy officers and men crewing the Survey's ships that had prevailed for most of the 19th century came to an end when the appropriation law approved on June 6, 1900, provided for “all necessary employees to man and equip the vessels” instead of Navy personnel. The law went into effect on July 1, 1900; at that point, all Navy personnel assigned to the Survey's ships remained aboard until the first call at each ship's home port, where they transferred off, with the Survey reimbursing the Navy for their pay accrued after July 1, 1900. Thereafter, the Coast and Geodetic Survey operated as an entirely civilian organization until May 1917. In 1901, the Office of Weights and Measures was split off from the Coast and Geodetic Survey to become the separate National Bureau of Standards. It became the National Institute of Standards and Technology in 1988. In 1904, the Coast and Geodetic Survey introduced the wire-drag technique into hydrography, in which a wire attached to two ships or boats and set at a certain depth by a system of weights and buoys was dragged between two points. This method revolutionized hydrographic surveying, as it allowed a quicker, less laborious, and far more complete survey of an area than did the use of lead lines and sounding poles that had preceded it, and it remained in use until the late 1980s. Although some personnel aboard Coast and Geodetic Survey ships wore uniforms virtually identical to those of the U.S. Navy, the Survey operated as a completely civilian organization from 1900 until after the United States entered World War I in April 1917. To avoid the dangerous situation Coast Survey personnel had faced during the American Civil War, when they could have been executed as spies if captured by the enemy, a new Coast and Geodetic Survey Corps was created on 22 May 1917, giving the Survey's officers a commissioned status that protected them from treatment as spies if captured, as well as providing the United States armed forces with a ready source of officers skilled in surveying that could be rapidly assimilated for wartime support of the armed forces. Over half of all Coast and Geodetic Survey Corps officers served in the U.S. Army, U.S. Navy, and U.S. Marine Corps during World War I, and Coast and Geodetic Survey personnel were active as artillery orienteering officers, as minelaying officers in the North Sea (where they supported the laying of the North Sea Mine Barrage), as troop transport navigators, as intelligence officers, and as officers on the staff of General John “Black Jack” Pershing. A 1932 marker at Fort McAllister Historic Park in Bryan County, Georgia. During the period between the world wars, the Coast and Geodetic Survey returned to its peaceful scientific and surveying pursuits, including land surveying, sea floor charting, coastline mapping, geophysics, and oceanography. In 1923 and 1924, it began the use of acoustic sounding systems and developed radio acoustic ranging, which was the first marine navigation system in history that did not rely on a visual means of position determination. These developments led to the Survey's 1924 discovery of the sound fixing and ranging (SOFAR) channel or deep sound channel (DSC) – a horizontal layer of water in the ocean at which depth the speed of sound is at its minimum – and to the development of telemetering radio sonobuoys and marine seismic exploration techniques. The Air Commerce Act, which went into effect on May 20, 1926, among other things directed that the airways of the United States be charted for the first time and assigned this mission to the Coast and Geodetic Survey. In 1933, the Coast and Geodetic Survey opened a ship base in Norfolk, Virginia. From 1934 to 1937, it organized surveying parties and field offices to employ over 10,000 people, including many unemployed engineers, during the height of the Great Depression. When the United States entered World War II in December 1941, all of this work was suspended as the Survey dedicated its activities entirely to support of the war effort. Over half of the Coast and Geodetic Corps commissioned officers were transferred to either the U.S. Army, U.S. Navy, U.S. Marine Corps, or United States Army Air Forces, while those who remained in the Coast and Geodetic Survey also operated in support of military and naval requirements. About half of the Survey's civilian work force, slightly over 1,000 people, joined the armed services. Officers and civilians of the Survey saw service in North Africa, Europe, and the Pacific and in the defense of North America and its waters, serving as artillery surveyors, hydrographers, amphibious engineers, beachmasters (i.e., directors of disembarkation), instructors at service schools, and in a wide range of technical positions. Coast and Geodetic Survey personnel also worked as reconnaissance surveyors for a worldwide aeronautical charting effort, and a Coast and Geodetic Survey Corps officer was the first commanding officer of the Army Air Forces Aeronautical Chart Plant at St. Louis, Missouri. Coast and Geodetic Survey civilians who remained in the United States during the war produced over 100 million maps and charts for the Allied forces. Three Coast and Geodetic Survey officers and eleven members of the agency who had joined other services were killed during the war. 150th anniversary commemorative stamp, issued by the United States Post Office Department in 1957. Following World War II, the Coast and Geodetic Survey resumed its peacetime scientific and surveying efforts. In 1945 it adapted the British Royal Air Force's Gee radio navigation system to hydrographic surveying, ushering in a new era of marine electronic navigation. In 1948 it established the Pacific Tsunami Warning Center in Honolulu Hawaii. The onset of the Cold War in the late 1940s led the Survey also to make a significant effort in support of defense requirements, such as conducting surveys for the Distant Early Warning Line and for rocket ranges, performing oceanographic work for the U.S. Navy, and monitoring nuclear tests. In 1955, the Coast and Geodetic Survey ship USC&GS Pioneer (OSS 31) conducted a survey in the Pacific Ocean off the United States West Coast towing a magnetometer invented by the Scripps Institution of Oceanography. The first such survey in history, it discovered magnetic striping on the seafloor, a key finding in the development of the theory of plate tectonics. The Coast and Geodetic Survey participated in the International Geophysical Year (IGY) of July 1, 1957, to December 31, 1958. During the IGY, 67 countries cooperated in a worldwide effort to collect, share, and study data on eleven Earth sciences – aurora and airglow, cosmic rays, geomagnetism, gravity, ionospheric physics, longitude and latitude determinations for precision mapping, meteorology, oceanography, seismology, and solar activity. In 1959, the Coast and Geodetic Survey's charter was extended to give it the responsibility for U.S. Government oceanographic studies worldwide. In 1963, it became the first U.S. Government scientific agency to take part in an international cooperative oceanographic/meteorological project when the survey ship USC&GS Explorer (OSS 28) made a scientific cruise in support of the EQUALANT I and EQUALANT II subprojects of the International Cooperative Investigations of the Tropical Atlantic (ICITA) project. A Coast and Geodetic Survey ship operated in the Indian Ocean for the first time in 1964, when Pioneer conducted the International Indian Ocean Expedition. On 13 July 1965, the Environmental Science Services Administration (ESSA), was established and became the new parent organization of both the Coast and Geodetic Survey and the United States Weather Bureau. At the same time, the Coast and Geodetic Survey Corps was removed from the Survey's direct control, subordinated directly to ESSA, and renamed the Environmental Science Services Administration Corps, or “ESSA Corps.” As the ESSA Corps, it retained the responsibility of providing commissioned officers to man Coast and Geodetic Survey ships. On 3 October 1970, ESSA was expanded and reorganized to form the National Oceanic and Atmospheric Administration (NOAA). The Coast and Geodetic Survey ceased to exist as it merged with other government scientific agencies to form NOAA, but its constituent parts lived on, with its geodetic responsibilities assigned to the new National Geodetic Survey, its hydrographic survey duties to NOAA's new Office of Coast Survey, and its ships to the new NOAA fleet, while the ESSA Corps became the new National Oceanic and Atmospheric Administration Commissioned Officer Corps, or “NOAA Corps”. In 2009, former NOAA Corps officer Juliana P. Blackwell was named as Director of the National Geodetic Survey and become the first woman to head the oldest U.S Federal science agency. The National Geodetic Survey, Office of Coast Survey, and NOAA fleet all fell under control of NOAA's new National Ocean Service. Frank Manly Thorn served as sixth Superintendent of the Coast and Geodetic Survey. Rear Admiral Henry Arnold Karo served as the fourth Director of the Coast and Geodetic Survey. The Coast and Geodetic Survey was authorized its own flag on 16 January 1899. The flag, which remained in use until the Survey merged with other agencies to form NOAA on 3 October 1970, was blue, with a central white circle and a red triangle centered within the circle. It was intended to symbolize the triangulation method used in surveying. The flag was flown by ships in commission with the Coast and Geodetic Survey at the highest point on the forwardmost mast, and served as a distinguishing mark of the Survey as a separate seagoing service from the Navy, with which the Survey shared a common ensign. The ESSA flag, in use from 1965 to 1970, was adapted from the Coast and Geodetic Survey flag by adding a blue circle to the center of the Survey flag, with a stylized, diamond-shaped map of the world within the blue circle. The blue circle containing the map lay entirely within the red triangle. The NOAA flag, in use today, also was adapted from the Coast and Geodetic Survey flag by adding the NOAA emblem – a circle divided into two parts by the white silhouette of a flying seagull, with the roughly triangular portion above the bird being dark blue and the portion below it a lighter blue – to the center of the old Survey flag. The NOAA symbol lies entirely within the red triangle. Petty Officers were Chiefs, First Class, Second Class, and Third Class. See also: Category:Ships of the United States Coast and Geodetic Survey. USC&GS Pathfinder (OSS 30) was transferred to the United States Navy while under construction and served in the Navy as USS Pathfinder (AGS-1) from 1942 to 1946 before being returned to the Coast and Geodetic Survey. The Survey of the Coast's first ship, the schooner Jersey, was acquired for it in 1834 by the U.S. Department of the Navy. By purchasing commercial vessels, through transfers from the U.S. Navy and U.S. Revenue Cutter Service, and later through construction of ships built specifically for the Survey, the Coast Survey and later the Coast and Geodetic Survey operated a fleet of ships until the formation of NOAA in October 1970. The first of the Survey's ships to see U.S. Navy service was the brig USRC Washington during the Mexican War. During the American Civil War, Spanish–American War, World War I, and World War II, some of the Survey's ships saw service in the U.S. Navy and United States Coast Guard, while others supported the war effort as a part of the Survey's fleet. The Coast and Geodetic Survey applied the abbreviation “USC&GS” as a prefix to the names of its ships, analogous to the “USS” abbreviation employed by the U.S. Navy. In the 20th century, the Coast and Geodetic Survey also instituted a hull classification symbol system similar to the one that the U.S. Navy began using in 1920. Each ship was classified as an “ocean survey ship” (OSS), “medium survey ship” (MSS), “coastal survey ship” (CSS), or “auxiliary survey vessel” (ASV), and assigned a unique hull number, the abbreviation for its type and its unique hull number combining to form its individual hull code. For example, the ocean survey ship Oceanographer that served from 1930 to 1942 was USC&GS Oceanographer (OSS 26), while the Oceanographer that served from 1966 to 1970 was USC&GS Oceanographer (OSS 01). When NOAA was created on 3 October 1970 and the Coast and Geodetic Survey was dissolved, its ships were combined with the fisheries research ships of the United States Fish and Wildlife Service's Bureau of Commercial Fisheries to form the new NOAA fleet. For a time, NOAA continued to use the Coast and Geodetic Survey's classification system for its survey ships, but it later abandoned it and instituted a new classification scheme. USC&GS Oceanographer (OSS 01) was flagship of the Coast and Geodetic Survey fleet from her commissioning in 1966 until the creation of NOAA in 1970. ^ The formal title given these officers in reports is for example: “Lieut. Commander John A. Howell, U.S.N., Assistant in the Coast Survey” with “Assistant” being a title for both high office and topographic survey management positions and ship’s commanding officers. ^ “National Geodetic Survey – What We Do”. National Geodetic Survey Website. Retrieved 27 May 2013. ^ “New Datums”. National Geodetic Survey. Retrieved 21 March 2017. ^ a b Survey, US Department of Commerce, NOAA, National Geodetic; Survey, US Department of Commerce, NOAA, National Geodetic. “Naming Conventions, New Datums”. geodesy.noaa.gov. ^ Survey, US Department of Commerce, NOAA, National Geodetic. “xGEOID16 Evaluation Computation”. beta.ngs.noaa.gov. ^ “National Geodetic Survey – What We Do”. National Geodetic Survey Website. Retrieved 21 Mar 2017. ^ Howe, Daniel W. (2007). What hath God Wrought, The Transformation of America, 1815–1848. Oxford University Press, Inc. ISBN 978-0-19-507894-7. ^ a b c d noaa.gov, Theberge, Albert E., Captain, NOAA Corps, “The United States Coast Pilot – A Short History”. ^ U.S. Coast and Geodetic Survey (1877). Report Of The Superintendent of the Coast And Geodetic Survey Showing The Progress Of The Survey During The Year 1874. Washington, D.C.: U.S. Government Printing Office. p. 3. ^ Peirce, Charles Sanders. “Appendix No. 21. On the Theory of Errors of Observation”. Report of the Superintendent of the United States Coast Survey Showing the Progress of the Survey During the Year 1870: 200–224. 1870 [published 1873] . NOAA PDF Eprint (goes to Report p. 200, PDF’s p. 215). U.S. Coast and Geodetic Survey Annual Reports links for years 1837–1965. Reprinted in Writings of Charles S. Peirce, v. 3, pp. 140–160. ^ Peirce, C. S. (1876 [published 1879]), “Appendix No. 14. Note on the Theory of the Economy of Research” in Report of the Superintendent of the United States Coast Survey Showing the Progress of the Survey for Fiscal Year Ending with June 1876, pp. 197–201, NOAA PDF Eprint, goes to p. 197, PDF’s page 222. Reprinted in Collected Papers of Charles Sanders Peirce, v. 7, paragraphs 139–157 and in Operations Research v. 15, n. 4, July–August 1967, pp. 643–648, abstract at JSTOR Peirce, C. S. (1967). “Note on the Theory of the Economy of Research”. Operations Research. 15 (4): 643. doi:10.1287/opre.15.4.643. ^ Alexander Agassiz (1888). “Three Cruises of the United States Coast and Geodetic Survey Steamer “Blake”: In the Gulf of Mexico, in the Caribbean Sea, and Along the Atlantic Coast of the United States, from 1877 to 1880″. Houghton, Mifflin and Company, Boston & New York. Retrieved 2 March 2012. ^ Official Records of the Union and Confederate Navies, Series I, Volume 18, p. 362. ^ U.S. Coast and Geodetic Survey (1877). Report Of The Superintendent of the Coast And Geodetic Survey Showing The Progress Of The Work for the Fiscal Year Ending With June, 1877. Washington, D.C.: U.S. Government Printing Office. p. 9. ^ “George S. Blake“. NOAA History: Coast and Geodetic Survey Ships. National Oceanic & Atmospheric Administration (NOAA), NOAA Central Library. 2006. Retrieved 9 February 2012. ^ Sailing Close to the Wind, pp. 3–4. ^ Anonymous, Centennial Celebration of the United States Coast and Geodetic Survey, Washington, D.C.: Government Printing Office, 1916, p. 139. ^ Sailing Close to the Wind, pp. 5, 8–10. ^ a b c Sailing Close to the Wind, p. 11. ^ Sailing Close to the Wind, p. 13. ^ Sailing Close to the Wind, pp. 14–15. ^ Sailing Close to the Wind, pp. 41–42. ^ Theberge, Albert “Skip” (August 20, 2016). “Some Notes From Lieutenant Charles Pierce Part 1: The California Coast 1932–1933”. The American Surveyor. Retrieved 19 September 2016. ^ Williams, Dion (1918). Army and Navy Uniforms and Insignia. New York: Frederick A. Stokes Company, pp. 186-187. ^ a b Bunkley J. W. (1943). Military and Naval Recognition Book. New York: D. Van Nostrand Company, pp. 230-231. 1858 map: Preliminary chart of entrance to Brazos River hosted by the Portal to Texas History. 1853 map: Preliminary chart of San Luis Pass, Texas hosted by the Portal to Texas History. 1854 map: Preliminary survey of the entrance to the Rio Grande, Texas hosted by the Portal to Texas History.